This is the long-awaited book by the Beatles - four years late! - as already shown as a limited edition on this site in 1995. 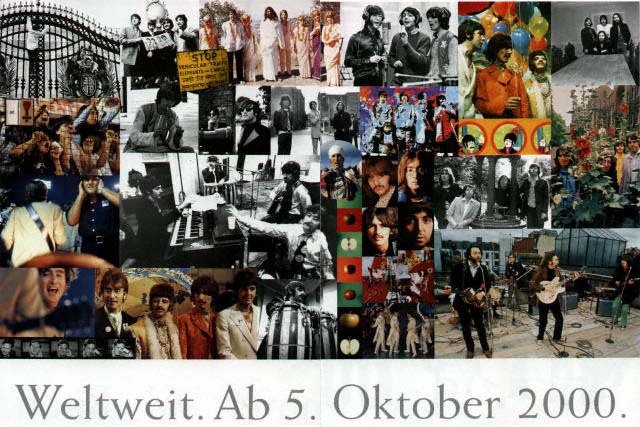 A new Beatles "Greatest Hits" collection on one CD will also be released this October! This extraordinary project has been made possible because Paul McCartney, George Harrison, and Ringo Starr have agreed to tell their combined story especially for this book. Together with Yoko Ono Lennon, they have also made available the full transcripts (including all the out-takes) of the television and video series The Beatles Anthology. Through painstaking compilation of sources worldwide, John Lennon's words are equally represented in this remarkable volume. Furthermore, the Beatles have opened their personal and management archives specifically for this project, allowing the unprecedented release of photographs which they took along their ride to fame, as well as fascinating documents and memorabilia from their homes and offices. 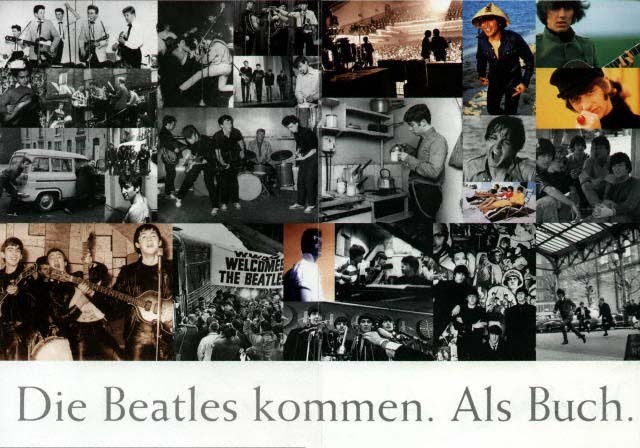 What a book The Beatles Anthology is! Each page is brimming with personal stories and rare and vintage images. Snapshots from their family collections take us back to the days when John Lennon, Paul McCartney, George Harrison, and Richard Starkey were just boys growing up in Liverpool. They talk in turn about those early years and how they came to join the band that would make them known around the world as John, Paul, George and Ringo. Then, weaving back and forth, they tell the astonishing story of life as The Beatles: the first rough gigs, the phenomenon of their rise to fame, the musical and social change of their heyday, all the way through to their break up. From the time Ringo tried to take his drum kit home on the bus to their much anticipated audience with Elvis, from the making of the Sgt. Pepper album to their last photo session together at John's house, The Beatles Anthology is a once-in-a-lifetime collection of the Beatles' own memories. Interwoven with these are the recollections of such associates as road manager Neil Aspinall, producer George Martin, and spokesman Derek Taylor. And included in the vast array of photographs are materials from both Apple and EMI, who also opened their archives for this project. This, indeed, is the inside story, providing a wealth of previously unpublished material in both word and image. 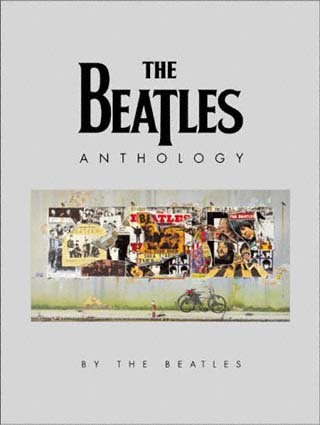 Created with their full co-operation, The Beatles Anthology is, in effect, The Beatles' autobiography. Like their music, which has been a part of so many of our lives, it's warm, frank, funny, poignant, and bold. 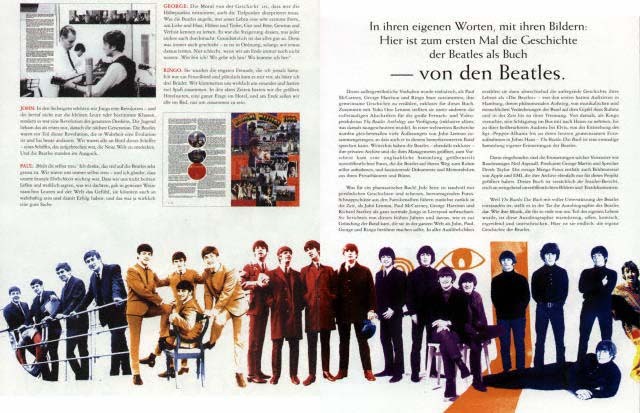 At last, here is the Beatles' own story. This is the definite book on The Beatles. The Beatles in their own words. Facts. Details. Intimate Details. Interwoven with an incredible number of great (and often unseen) photos. Every fan ought to have this book. The perfect gift!